My major research interests are in the care of children, adolescents and their families with Type 1 Diabetes. I am particularly interested in the impact of varying amounts of protein, fat and carbohydrate on blood glucose levels after eating and ways to optimise glucose control after meals. My aim is to develop a family-friendly app to guide the parent and child on insulin dosages at mealtimes. I’m also interested also in the management of toddlers with diabetes as their food behaviours can present unique challenges to parents and carers. Type 1 Diabetes is a difficult chronic disease - when blood glucose rise after eating it can cause high levels of frustration for parents as well as increase the risk of complications. I became involved in research because I wanted scientific answers to questions posed by my patients. In diabetes care, many aspects of education, including dietary management, were anecdotal and I wanted real evidence behind any changes I was suggesting that people make to their own and their children’s lives. To achieve optimal glycaemic control without hypoglycaemia is a central goal of therapy for children with Type 1 diabetes. Eating is an essential daily activity that often results in both hyperglycaemic and hypoglycaemic glucose excursions. Our aim is to overcome these unexplained glucose highs and lows after food allowing our children and families to have more freedom in their daily lives and to prevent the immediate and long-term complications of diabetes. A family-friendly app would make these complex calculations simpler for families. Our data and algorithm could then be incorporated into an “artificial pancreas” which ultimately frees patients from having to do all these calculations each time they eat. Dr Carmel Smart has worked with children and families as a paediatric diabetes dietitian at the John Hunter Children's Hospital for over 20 years. Her involvement in national and international diabetes clinical care guidelines further supported the need for more scientific evidence to guide diabetes management. Dr Smart has worked as a Specialist Endocrinology Dietician at the John Hunter Children’s Hospital for over 20 years. She completed her PhD in 2012 and has successfully written nationally competitive grants which have assisted her in being both an active clinician and researcher. In addition, Dr Smart is a Conjoint Senior Lecturer with the University of Newcastle. Relative to opportunity as a non-full timer, she has a strong track record of productivity. Her research focuses on the effect of macronutrients on glycaemia and she has over 18 publications in peer review journals in the past 5 years. 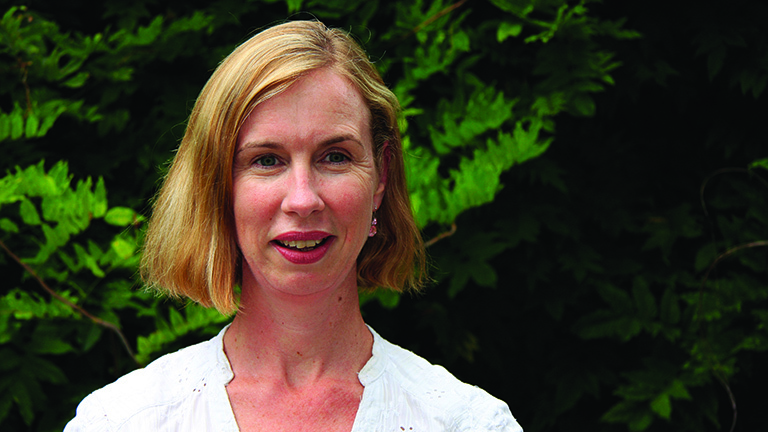 She is recognised as a world expert on diet and Type 1 Diabetes and has been invited as lead author on national and international clinical practice guidelines in dietary management. Most recently, she was invited as a lead author on the American Diabetes Association Clinical Nutrition Guidelines and as a co-author on the International Society of Pediatric and Adolescent Diabetes (ISPAD) Preschool Guidelines (only Australian representative). Her research has translated into changes and improvements in clinical care at a global level. Dr Smart has been an invited plenary speaker at national and international conferences. She has won several awards including APEG Young Investigator (the first time this has been awarded to a non-medical graduate), two best poster awards at international conferences, Dietitians Association of Australia Contribution to Diabetes award and the HCRF Research Excellence award. Dr Smart was invited convenor of the ISPAD Health Professional Science School and the non-medical representative on the ISPAD advisory committee. In 2015, she was invited as a member of the JDRF International Expert Advisory Group for exercise management in Type 1 diabetes. Carmel co-supervises 3 PhD students. She is a co-chair of the APEG/ISPAD Committee for 2015 conference.